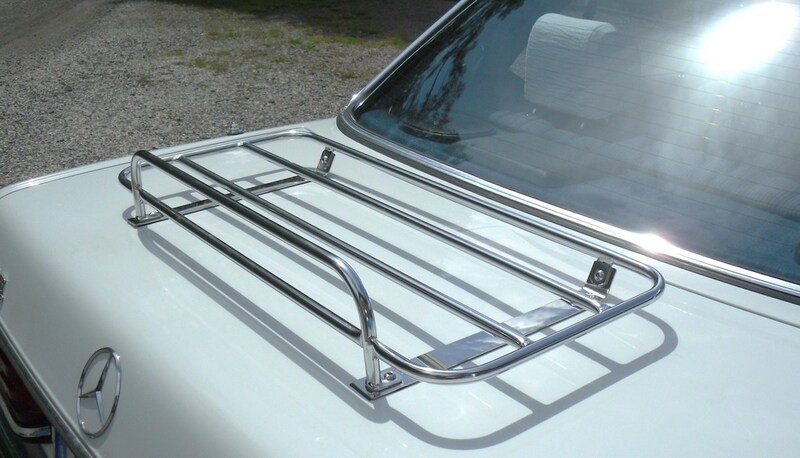 We have a choice of two styles of luggage rack available for the classic Mercedes W114, W115, W123 and W124 Saloons. When ordering this product, please state either the model year of your Mercedes, or alternatively the platform, W114, W115, W123 or W124. Premium specification, mirror polished Classic Style boot luggage rack with bespoke fittings suitable for the Mercedes Benz W range saloons. Premium specification, mirror polished Sports Style boot luggage rack with bespoke fittings suitable for the Mercedes W114/115 and W123/124 series cars. ​Supplied with mirror polished stainless steel support straps, polished Allen hardware and rubber seals.